As the coalition-building talks in Estonia continue between the ruling Centre Party, the Conservative People’s Party of Estonia, which stands against migrants and abortions and national conservative Isamaa, no breakthrough is in sight. Estonian public broadcaster ERR reports that according to statements by Centre leader, outgoing Estonian Prime Minister Jüri Ratas, no progress on the key state budget talks could yet be announced. «Budget capabilities and opportunities are currently under review. 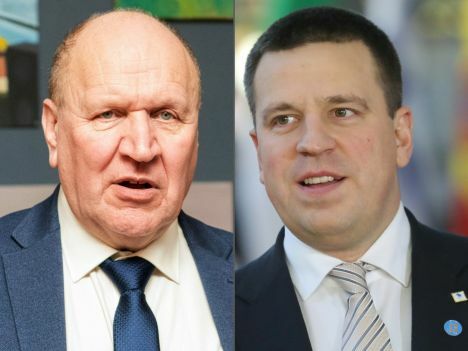 (..) There are still discussions and negotiations going on with all the topics,» Ratas, the leader of the largest party of the three by seats won at the March 3 election explained to ERR’s Estonian online news. The potential coalition of the Centre Party, the Conservative People’s Party of Estonia (EKRE) and Isamaa would have a majority of 57 seats in the the 101-seat Riigikogu. Centre and Isamaa have dismissed EKRE’s value added tax reduction proposals, as well as its proposal to cut state funding for abortion. In Estonia, government-building talks traditionally take the time of at least a month, ERR wrote.